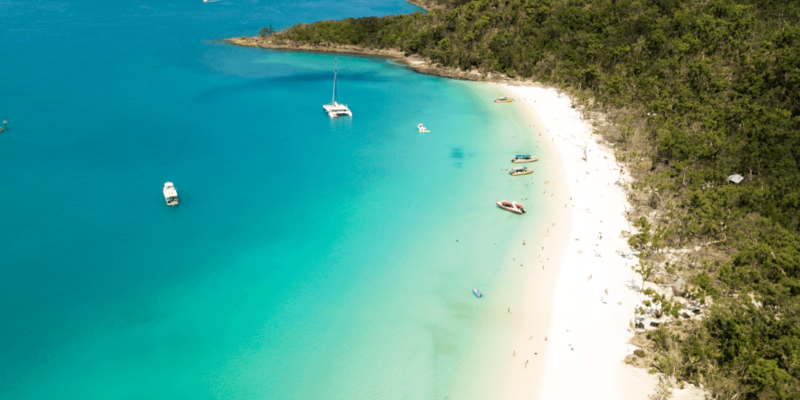 When AirAsia asked us if we wanted to take a trip with them to one of their featured destinations we were definitely interested! We had flown different kinds of AirAsia a bunch of times between countries in Southeast Asia, but had never flown with them internationally before. Before we knew it we were book to visit South Korea for the very first time. 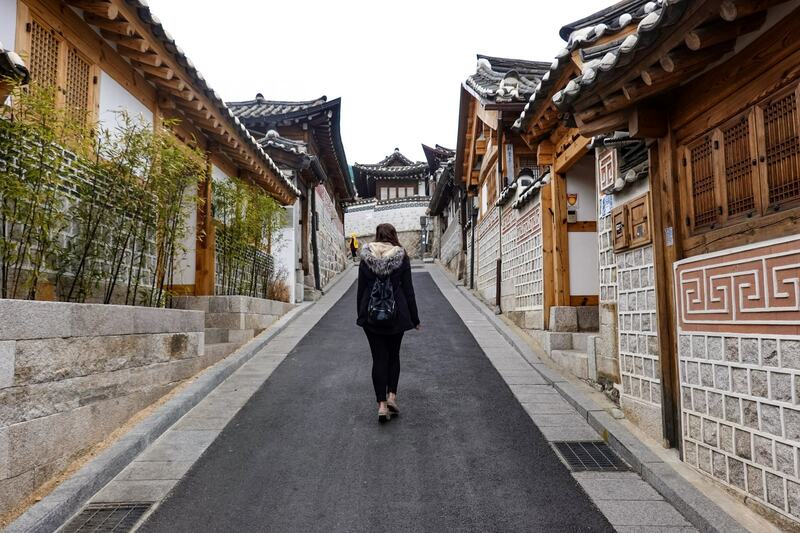 We always love visiting new places in Asia, and couldn’t wait to check it out. Our regular international airport is Melbourne Tullamarine, which was previously also Melbourne’s only international airport. 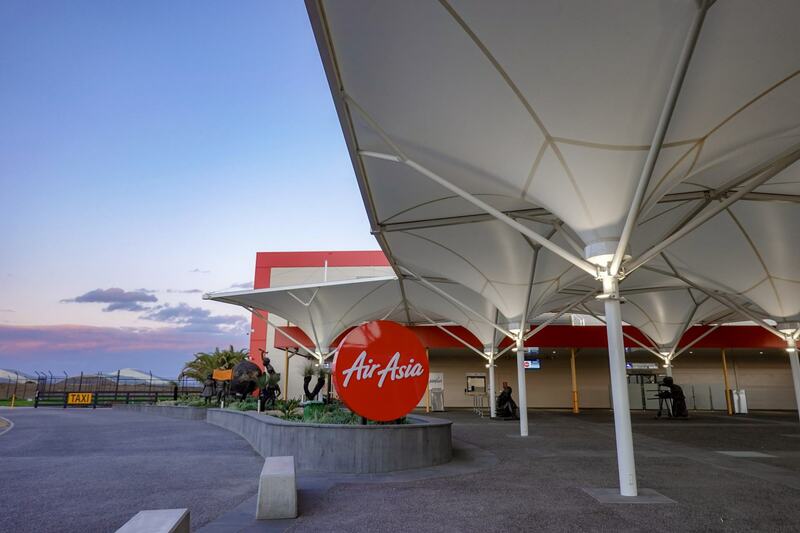 However, as of December last year, AirAsia has moved it’s international services between Melbourne and Kuala Lumpur to Avalon Airport. Previously only a domestic airport, there is nothing better than catching a flight from Avalon Airport in our opinion. There is generally only one or two flights checking in at a time, which means significantly shorter lines at check in counters and security, no crowds, plenty of seats for everyone at the gate, and just generally a much nicer flying experience. This was our first time catching a flight from the international terminal at Avalon and it was just so great! The new terminal is just beautiful, with super modern security, quick and easy customs screenings (no long lines here!) and a even a beautiful duty-free store with everything you might want to check out before your flight. 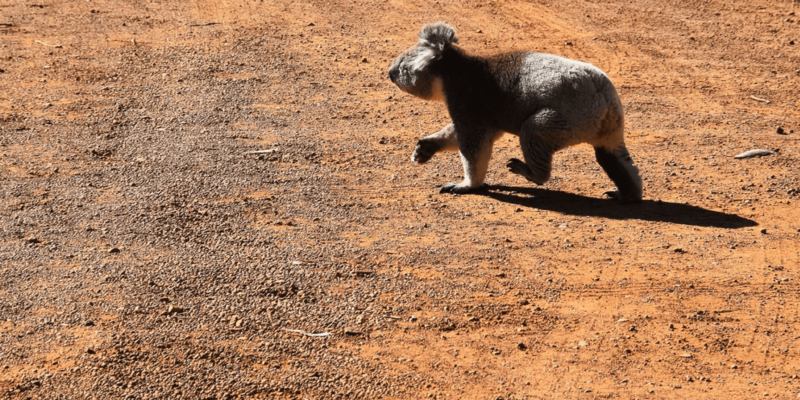 Travelling from Avalon Airport was even more exciting for us because over the past 12 months Thom had actually done a bit of work on the new terminal as it was being built. It was great to watch the progress video that’s on display, and for Thom to show me the different stages that he was working on the development! 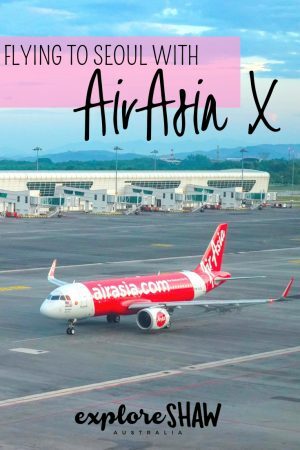 We were checked in by some really lovely and helpful staff at the AirAsia counter, and before we knew it we were boarding our late night flight, settling into our seats in the Quiet Zone and heading towards Asia. From Melbourne there are actually no direct flights to Seoul in South Korea. 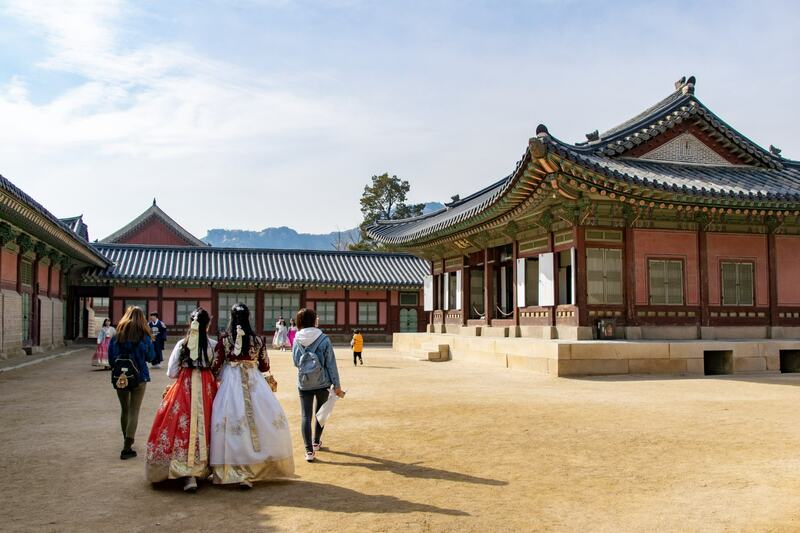 AirAsia definitely offers the most affordable tickets to visit Korea, with a quick stop over in their home base of Kuala Lumpur. 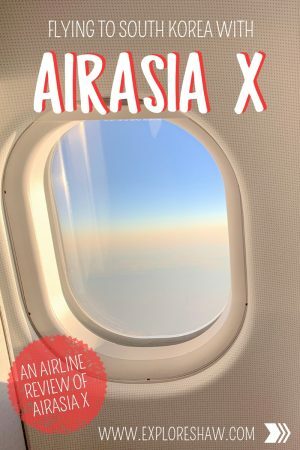 AirAsia X has created what we have always wanted on every single flight we have ever boarded. Welcome to the Quiet Zone. 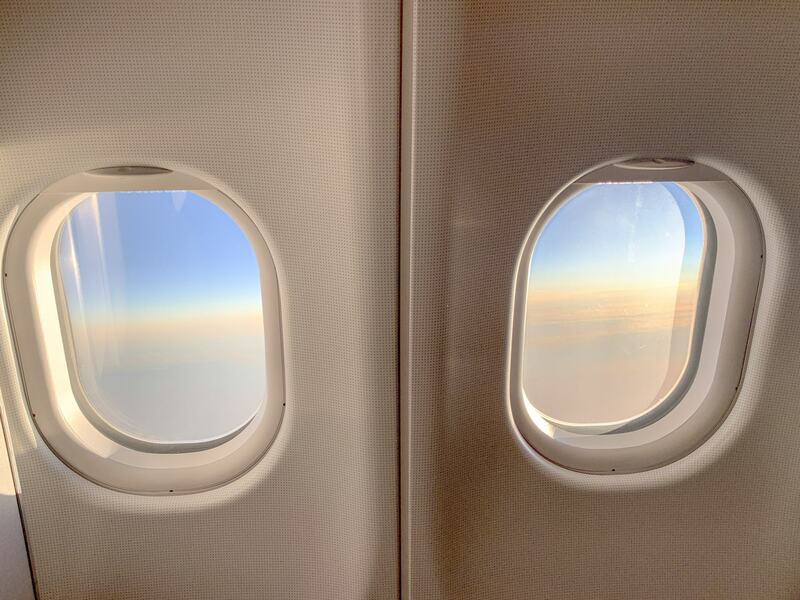 A place for peace and quiet on your flight for an incredibly pleasant journey. 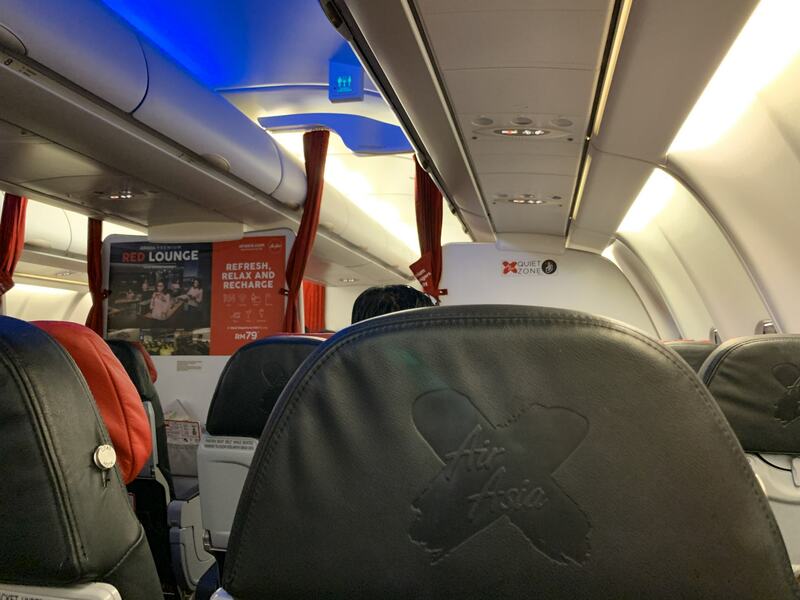 The Quiet Zone is an exclusive seating area between rows 7 and 14 on all AirAsia X flights, right behind their Premium Flatbed area. It’s location at the front of the plane also offered us speedy disembarkation and an early meal service while we were on board the flight. The Quiet Zone is a place where you’re not going to be bothered by screaming babies or tantrum throwing toddlers, as children must be 10 years or older to fly in the Quiet Zone. The anxiety of whether you’re going to be stuck next to a noisy family is completely gone and it is truly peaceful. Booking a seat in the Quiet Zone costs around $30 AUD more than your normal fare, and in our opinion is 110% worth the extra cost. 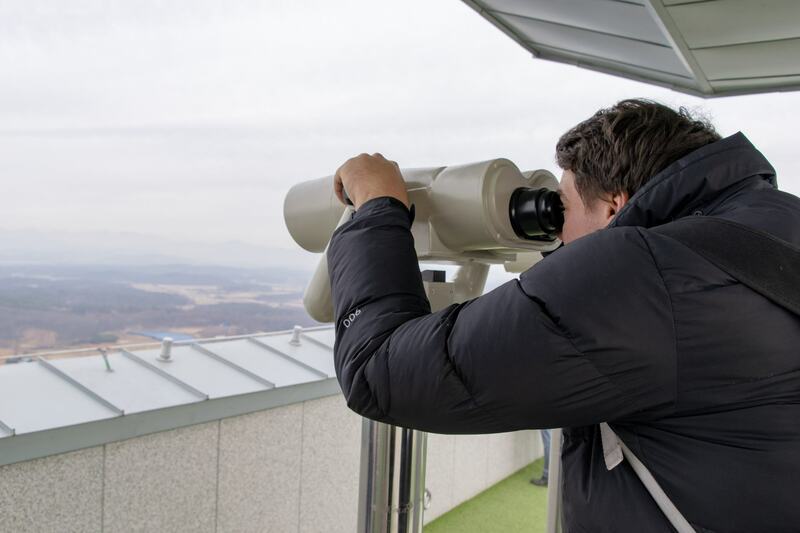 On all four of our flights to and from South Korea the Quiet Zone was never full, allowing us to spread out into a row each to sleep on our overnight flights. In fact, everyone in the Quiet Zone on our overnight flights had a full row to themselves. It was fantastic! 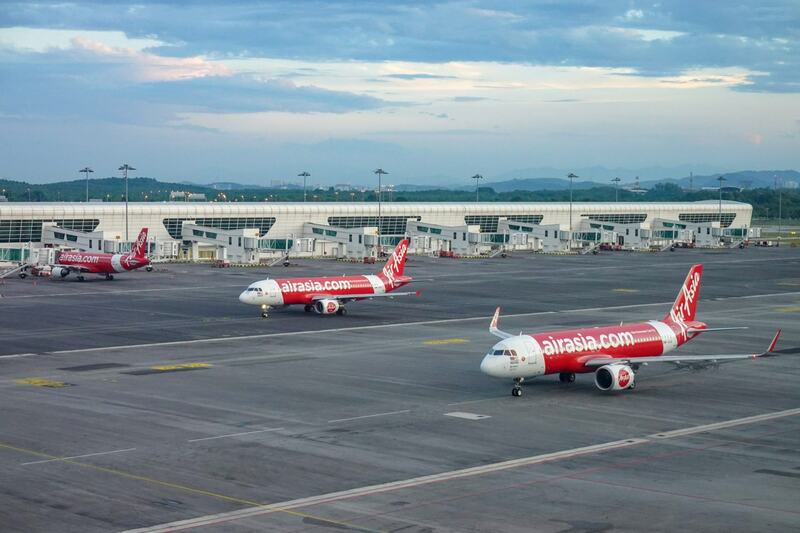 As AirAsia X is a low cost carrier airline, they keep their fares super low by charging separately for add-ons such as meals, luggage, entertainment and seat selection. The great thing about this is that you don’t need to pay for anything you don’t need on your flight. For example, we always take our own iPads and entertainment, so we can avoid these charges completely! Here’s a quick guide to some of the fees you might require for your flight. It’s important to note that fees are calculated depending on their flight route and may be different depending on the cities you’re flying between. 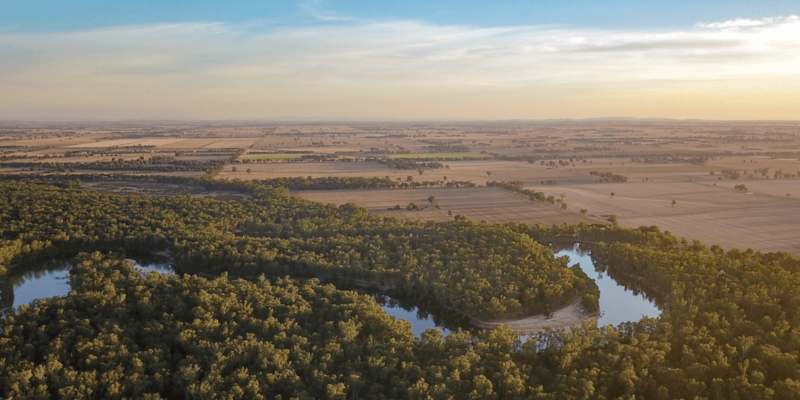 The below prices are for flights between Melbourne – Avalon Airport and Kuala Lumpur Airport and are all based on purchasing the add-ons at the time of your booking. Prices do increase if you add anything after your initial booking. Checked luggage is charged at $52.50 AUD for one 20kg bag per passenger, per sector when you add the luggage during your initial booking. Adding checked luggage after the initial booking starts from $58.80 AUD for a 20kg bag and if you wait until you’re at the airport to add you’re luggage you’re looking at upwards of $70 AUD for only 15kg. Selecting your seat starts from $19.90 AUD for a standard seat and depends on where you want to sit on the plane. Standard seats in the Quiet Zone start from $28.90, with extra legroom hot seats starting from around $58.90 AUD if you add them when you make your initial booking. If you’re looking for entertainment on board your flight, you can rent a Xcite Tablet on all AirAsia X flights, loaded with movies, TV shows, games and magazines to keep you busy on your flight. Pre-booking your tablet costs 49 MYR (about $17 AUD) for your flight, otherwise it will cost 59 MYR (about $20.40 AUD) if you choose to add this on board. To check the specific fees for your route, check out the fees and charges page on the AirAsia website. 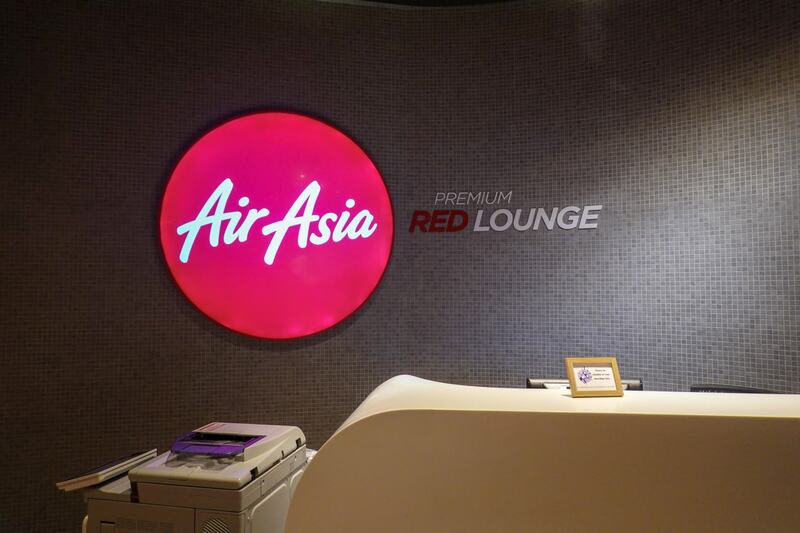 During our layover we checked ourselves into AirAsia’s Premium Red Lounge at Kuala Lumpur Airport. The time between our flights was about 3 and 5 hours respectively and super early in the morning (we landed at around 4am on the way over), so we thought it would be the best way to spend our airport time. 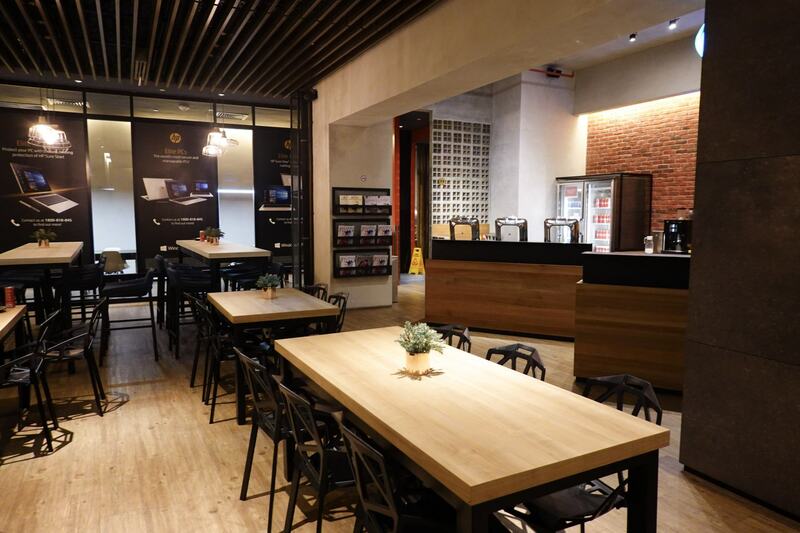 The Premium Red Lounge provides you with a little sanctuary away from the normal airport hustle and bustle, and it definitely beats sitting on a metal chair at your gate waiting to board for 4 hours amongst a noisy crowd. Everything you could need between flights can be found at the Red Lounge. Complimentary meals are served in the lounge kitchen, there’s an observation area where you can sit by the window and watch the planes moving around on the tarmac, there’s free high speed wifi, lots of charging stations, and the bathrooms include their own showers, so you can completely freshen up in between flights. The lounge also has an upstairs nest, you might call it, decked out with bean bags and comfy pillows, so if you’re in need of a bit of extra sleep you can make yourself comfortable. The whole lounge is peaceful and quiet, with dim lights in the early morning and no-one being overly loud or annoying. You can check into the Red Lounge for just 79 Malaysian Ringgit (about $27 AUD) for three hours and take advantage of all their facilities. We can definitely say, t’s a much nicer way to spend your time at the airport! Important: There are no announcements in the Red Lounge though, so make sure you’re always keeping an eye on the time and know when you need to leave to make it to your departure gate. There are so many flights leaving from KL each day that your flight might not appear on the departures board in the lounge until you already need to be at your gate. 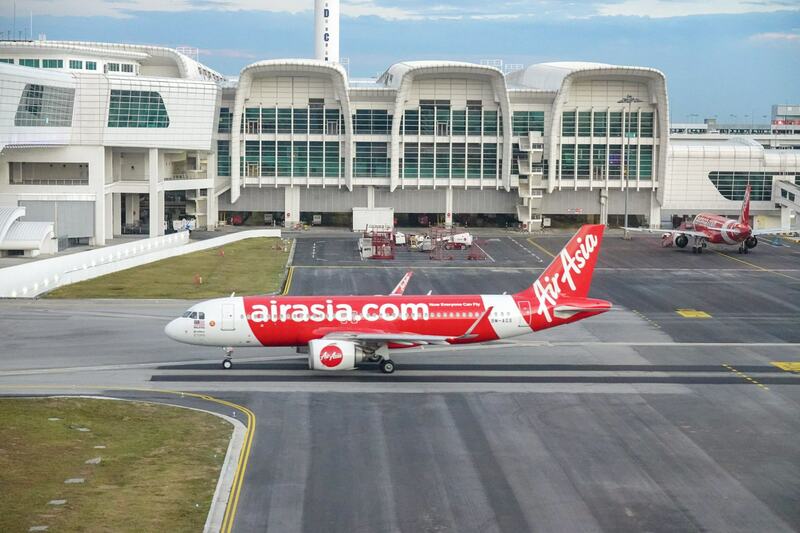 Overall, we had a great experience flying with AirAsia to Seoul. 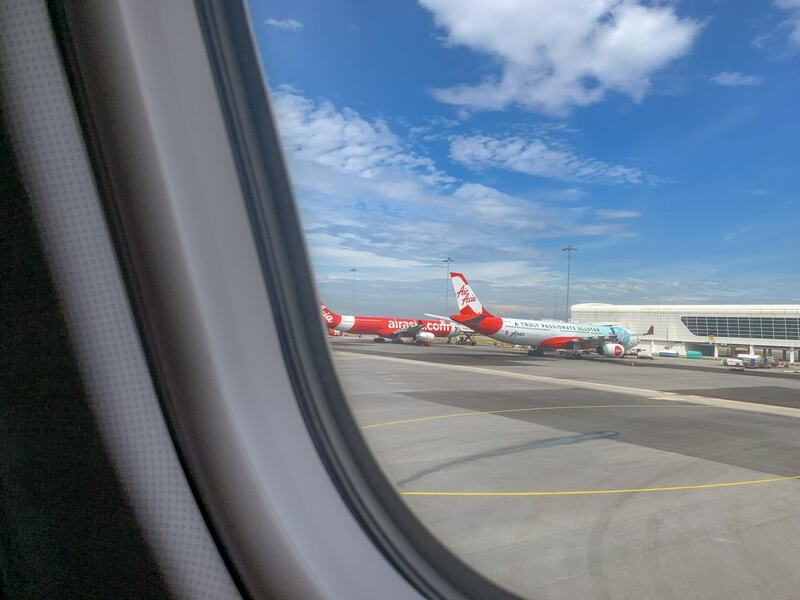 They have completely changed the game by introducing the Quiet Zone to their flights, and it was absolutely the most enjoyable low-cost carrier flight we have ever taken. 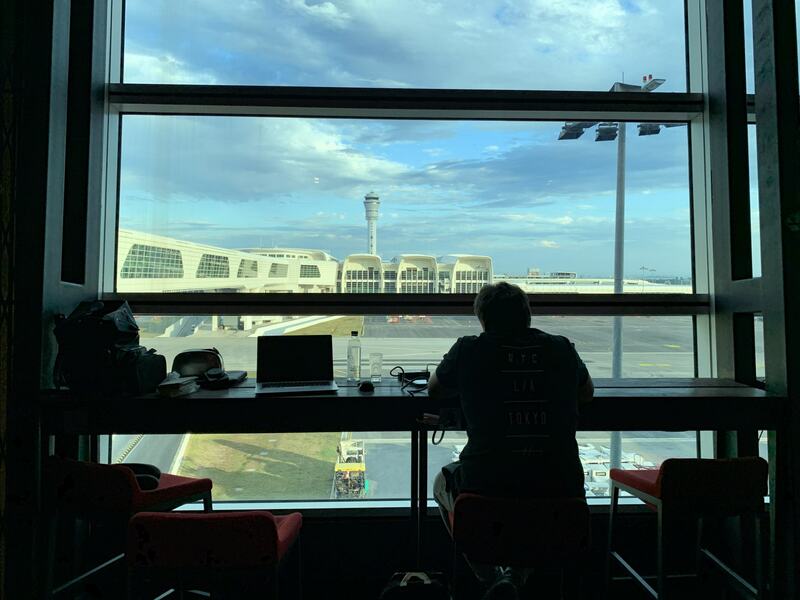 Booking into the Red Lounge in Kuala Lumpur was a huge lifesaver too, and for destinations like Seoul where there are no direct flights, checking into a lounge for a few hours makes a world of difference to the time you spend at the airport. We flew to Seoul as guests of AirAsia. As always, all opinions are our own.